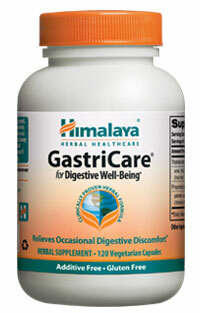 For comfortable digestion you can depend on, GastriCare combines time-tested digestive defenders such as Ginger and Triphala with calming and supportive herbs like Mint and Papaya to provide a multi-faceted approach to digestive wellness. 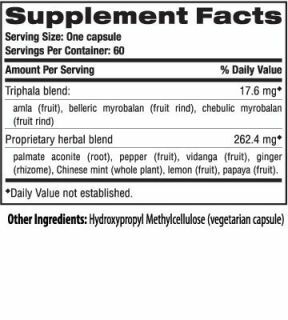 Papaya has the proteolytic digestive enzyme papain to support proper digestion of proteins, while Ginger and Triphala traditionally support normal digestive response. If you eat on the run, chew too fast, eat under stressful conditions, or otherwise need to support the body's normal response to occasional digestive discomfort, try GastriCare.